WASHINGTON — Two top congressional Republicans are calling on Attorney General Jeff Sessions to appoint a special prosecutor to investigate alleged abuses in the use of a secret surveillance program targeting a Trump campaign aide, the latest in a string of GOP efforts to put federal investigators under the same scrutiny facing many Trump associates. The new investigation, sought by the chairmen of the House Oversight and Judiciary Committees, would call into question a significant component of the FBI investigation now in the hands of special counsel Robert Mueller. It builds off the allegations in a memo authored by Republicans on the House Intelligence Committee that the Justice Department withheld key information from a FISA court as it sought to launch surveillance against former Trump foreign policy adviser Carter Page. The lawmakers acknowledged in making the announcement that the Justice Department’s internal watchdog was already probing the FISA issue at the behest of Sessions. Inspector General Michael Horowitz has also been conducting an investigation of how the FBI handled the investigation of Hillary Clinton’s use of a private email server, with a report expected as soon as April. But the issues presented by the Page case go beyond the Justice Department, the lawmakers argued, and requires someone with “greater jurisdictional authority” who could compel testimony from officials at other agencies as well as former DOJ staff. “This is not about either Hillary Clinton or Donald Trump. This is about how the world’s most important law enforcement organization handled one of the most important investigations that it’s been charged with,” Judiciary Committee Chairman Bob Goodlatte, R-Va., told reporters Tuesday. Amid the fallout of dueling memos from Republicans and Democrats on the House Intelligence Committee related to Page, the request for a new special counsel came with a frank admission about public confidence in Congress’ ability to conduct oversight of the federal agencies in a fair and non-political manner. Goodlatte has already called for a second special counsel to review the Clinton email investigation and other matters that went beyond the scope of Mueller’s inquiry, which Sessions has so far resisted, to the frustration of President Donald Trump. 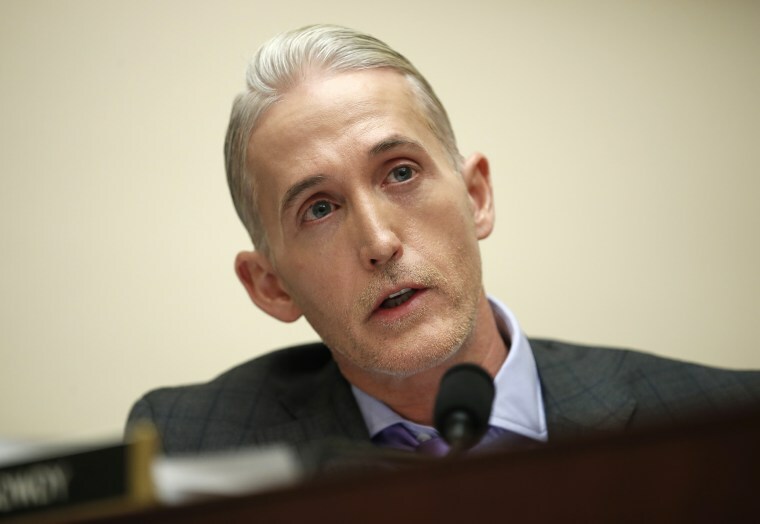 Gowdy noted that he has not joined other Republicans in seeking a second special counsel on various issues, and has been resistant to calling for investigations Justice Department or FBI conduct before. But he said there are at least two dozen potential witnesses that would shed additional light on the Page FISA process that the inspector general does not have authority to compel testimony from. And Sessions’ recusal from Russia-related matters makes it difficult for other department officials to engage as well. “If the IG cannot do it himself or herself, and the Department of Justice should not do it because of conflicts of interest either real or perceived, then that leaves no alternative except special counsel,” he said. Democrats issued a 10-page rebuttal to the GOP memo claiming abuses in the Page FISA application, citing the classified application itself to point out that the Foreign Intelligence Surveillance Court was told that a source of information had been hired by an American "looking for information that could be used to discredit” a rival campaign, Trump’s.